What's the story behind gaming legend Richard Garriott's $24 million lawsuit against massively-multiplayer online game developer NCsoft? The court filing unearthed by GamePolitics reveals a sordid tale of betrayal. According to the lawsuit filed by Garriott yesterday in the Austin, Texas, division of the U.S. District Court, the events surrounding his departure from NCsoft last year are a great deal more complicated than a simple change of interest on his part. In fact, the suit claims that the pleasant farewell letter posted on the Tabula Rasa forums in Garriott's name was in fact written by NCsoft, attempting to make Garriott's departure seem like a voluntary one. The filing explains that the whole situation started while Garriott was in quarantine after his historic space flight, when NCsoft North American studio head called to inform him that his time at NCsoft was over. In the face of Garriott's protest over his termination, Chung reportedly informed him that NCsoft's upper management had already considered the matter and his time with the company was at an end. 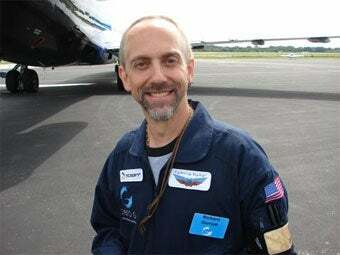 Soon after said phone call, NCsoft posted a farewell letter in Garriott's name on the Tabula Rasa website, indicating that the gaming pioneer was leaving to pursue other interests, hinting that his space flight had opened his eyes to new opportunities. Garriott didn't protest. After all, he still had stock options good until the year 2011...or did he? Garriott's contract with NCsoft began in 2001, granting him stock options through to 2011. These stock options were to remain in place in the event of his termination by the company, but in the case of his voluntary leaving the options would expire within 90 days of his departure. Garriott alleges that NCsoft purposefully categorized his termination as voluntary, forcing him to sell off his stock options during one of the greatest financial downturns since the Great Depression. The lawsuit indicates that Garriott made repeated attempts to assure that his departure be categorized as involuntary, only to have the executives at NCsoft refuse to make the change. Thus has Richard Garriott filed a lawsuit against NCsoft for fraud, breach of contract, and negligent misrepresentation, seeking $24 million in damages. You can read the full text of the lawsuit by following the link below. We've once again reached out to NCsoft for comment, and will let our readers know as soon as we have their side of the story.